Accounting, legal services, dentists and physician offices are frequently listed as some of the most profitable U.S. businesses. Noticeably absent from any such list is pharmacy. But when it comes to specialty pharmacy, maybe they are the exception to the rule? It doesn’t appear so. Large revenues don’t compensate for incredibly thin margins, and therefore making a profit is challenging for them as well. I guess when it comes to making a profit in pharmacy, size really doesn’t matter at all. Cardinal Health, one of the top U.S. drug wholesalers, recently announced it would sell off its specialty pharmacy to Biomatrix. According to Adam Fein of Drug Channels, "Cardinal’s capitulation highlights the challenges for smaller specialty pharmacies." Read that to mean that the grass isn’t always greener on the specialty pharmacy side of the fence. The fact is that even specialty pharmacies are struggling with many of the very same issues and reimbursement pressures that the average chain pharmacy or independent pharmacy has to face. Take DIR fees, for example. 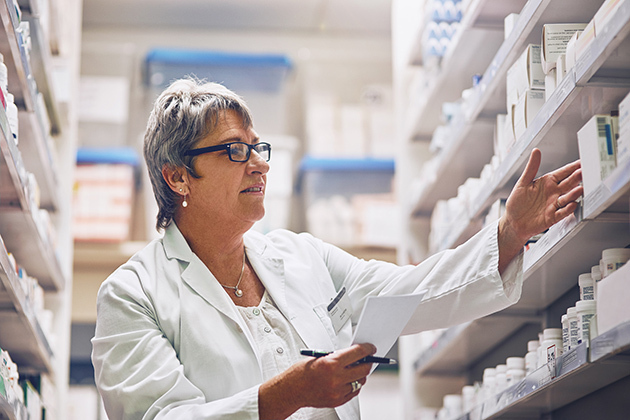 The specialty pharmacy industry is struggling just as much as anyone to deal with these unfair and unpredictable charges in which the PBM takes back profit right out of the pharmacy’s pockets. A recent article in Specialty Pharmacy Continuum quoted Brandon Newman, PharmD, who is the program director for Vanderbilt Specialty Pharmacy in Tennessee, as saying, "The Vanderbilt Specialty Pharmacy has found the lack of transparency in how metrics are calculated to determine DIR fees to be very problematic." The little guy doesn’t have it easy either. A recent U.S. News and World Report article highlighted the struggle of smaller, rural pharmacies in America. "Since 2003, about 16 percent of independent rural pharmacies — or roughly 1,230 stores — have closed, with fewer than 6,400 remaining." The reason isn’t hard to understand for anyone who has actually worked in the industry and sees the reimbursement levels that pharmacies generate. One independent owner states, "I can’t tell you how many times we have refilled a prescription where we are reimbursed less than our costs [and]…when we do get reimbursed above costs, sometimes it’s 1 percent or 5 percent." It seems to me that pharmacy now joins the ranks of some of the lowest margin businesses in our nation, including grocery stores, beverage manufacturers and auto dealers. What bothers me is that this ultimately has a trickle down impact on patient care and services from pharmacists. The result is understaffing and an overall reduction in the quality of care available to those who need it the most. It is really no secret where all the money in the prescription business is going at the present. According to a FierceHealthcare article just published, the PBM industry is enjoying hefty profits while the pharmacies that actually deliver care are going out of business. Take Express Scripts, for example. The article points out that they "reported considerable growth in the third quarter of 2018…with net income exceeding $1.07 billion, a 27.3% increase over the same quarter last year." The healthcare industry isn’t doing too shabby either, with Aetna reportedly earning $1 billion in their third quarter as well. But dispensing pharmacies, whether large or small, continue to struggle for every reimbursement dollar. Success requires a razor sharp focus on any categories of business driving the best margin and net profit dollars, maximizing efficiencies through training and technology, and all the while continuing to deliver compassionate and competent care for all our patients. It’s as simple as that. And if it doesn’t work out, there is always dental school?